Only for 2015 Members - You can continue to use this registration option throughout the event. Only for Current Year Annual Members ONLY. This Registration Options Includes the Formation and the Dinner to Follow. 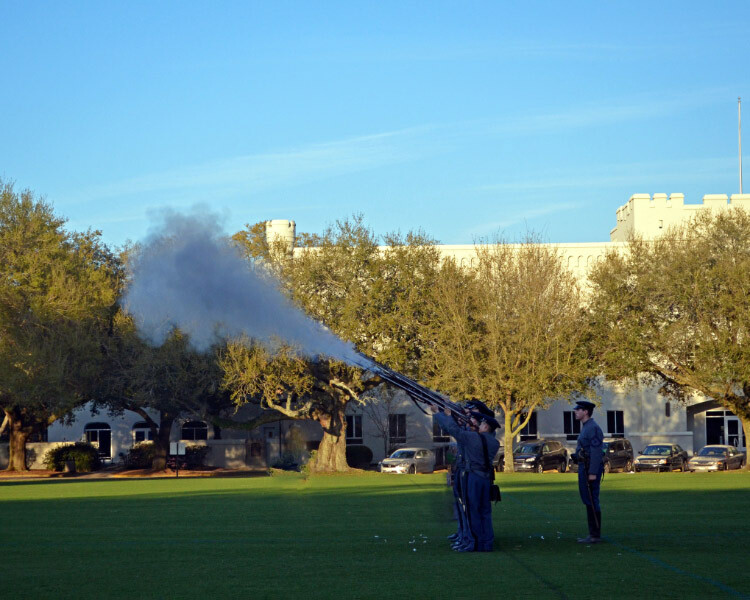 Receive one (1) year Annual Membership with the Citadel Club of Charleston ($40 value). Dinner is NOT included in this free option but can be added at the member rate. This is for attendance at the Roll Call, in formation, on the Parade Deck starting @ 1815 sharp. Bring your Spouse, Family, Kids, Friends, Girlfriends and Co-Workers! The Club is working hard to bring you a great Annual Muster with an excellent meal and solemn commemoration of the brothers and sisters that we've lost this year. Capt. Paulso '89 will be speaking. Additionally, Stan Rawl '01 will be giving a tribute to his brother Ryan Rawl '04. Please wear long pants and shirts as the gnats could be bad. Also please bring a folding chair if you do not think you can stand for the entire 40 minutes in takes to read the names. There are two components to the Muster: 1. Roll Call on the Parade Ground to be performed by current cadets and is free to everyone. 2. Dinner at the Holiday Alumni Center. Please register. Corps Day, the birthday of the Corps of Cadets and is the 20th of March and is the date in 1843 when the first Corps reported to The Citadel. 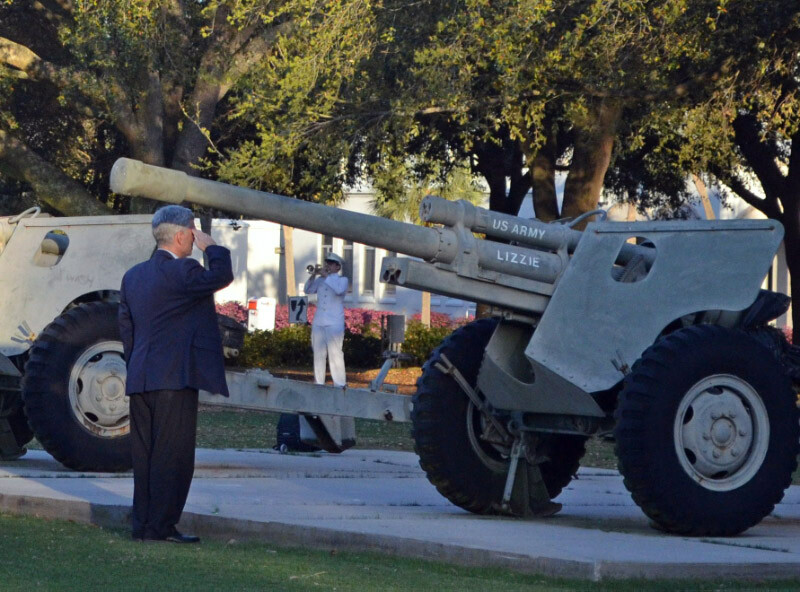 Muster is held every year on this date around the world to remember and honor those members of the Long Grey Line that have passed over the preceding 12 months. 1825 – Roll call formation and introduction. 1920 – Cadet Prayer is said by all. Everyone seated and dinner is served. 1930 – Speaker: Captain Geno Paluso, followed by a Tribute to Herbert Hoefer '74. EVERYONE - WEAR LONG SLEEVES AND PANTS, we're taking steps to reduce the gnats but they will be present. Bring your Spouse, Family, Kids, Friends, Girlfriends and Co-Workers! Everyone is welcome at all Club events! 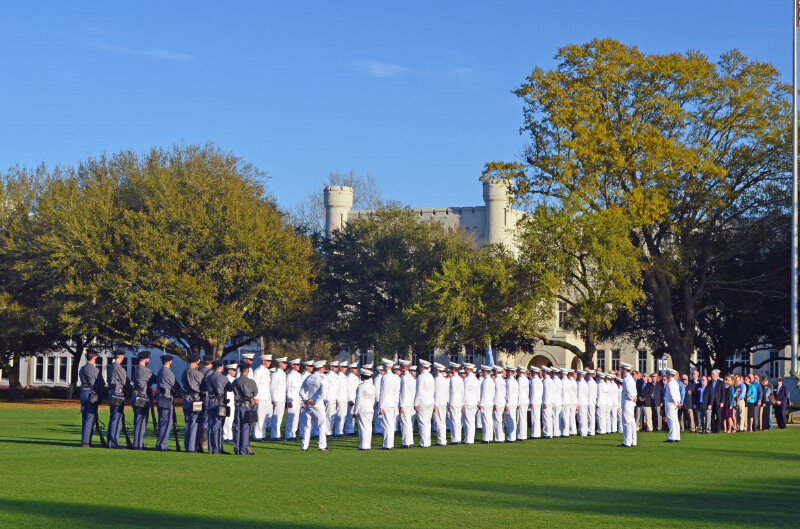 The Citadel Club of Charleston is open to everyone and we're here to serve the community.